These multibillion-dollar online platforms have already been a disruptive force in many economic segments, and analysts say the public listings may be a watershed moment, likely to fuel even more changes. The growth in these on-demand services is eroding sentiment for ownership of homes, cars and other goods, and is also shifting the concept of labour and employment, sparking fierce debates on whether the change is good or bad. Lyft, the large US ride-hailing service and Uber rival, became the first to announce its initial public offering (IPO), seeking to expand a firm valued privately at more than $15-billion. There has already been an explosion of start-ups for sharing cars, bikes, scooters, housing and more services. The office rental sector is being transformed by coworking spaces like WeWork, now valued at some $45-billion. “This is just the beginning for the sharing economy,” said Arun Sundararajan, a New York University professor who follows the sector. “I think we’ll see large platforms for professional services for certain kinds of health care, and perhaps for alternative energy,” he said. Spending for “on demand” on services such as Uber and Airbnb and other digital platforms rose 58% in 2017 to $75.7-billion in the US, with more than 41-million consumers participating, according to a survey by Rockbridge Associates. Rockbridge founder Charles Colby cautions, however, that the sizzling growth may cool. “I don’t see these firms as the next Amazon or Apple, because they are carving out narrow marketplaces and will start experiencing competition from traditional providers, some of which are quite savvy,” he said. Sharing economy firms have also sparked their share of controversy. Uber and Lyft have faced protests and challenges from traditional taxi operators and some regulators have banned or limited ridesharing. Airbnb has also been curtailed in some markets amid complaints over disruptions in the real estate markets and the hotel sector. In transportation, some analysts argue the sharing trend is moving at a breakneck pace that will radically change urban landscapes, in line with the vision of firms such as Uber and Lyft to sharply reduce the need for private vehicles. Tech research firm RethinkX predicts that the number of cars in the United States will drop by more than 80% by 2020 and 95% of travel will be using on-demand autonomous electric vehicles. By gaining access to capital on Wall Street, sharing economy firms may be able to grow even bigger and flex their power more in disrupting traditional kinds of services. 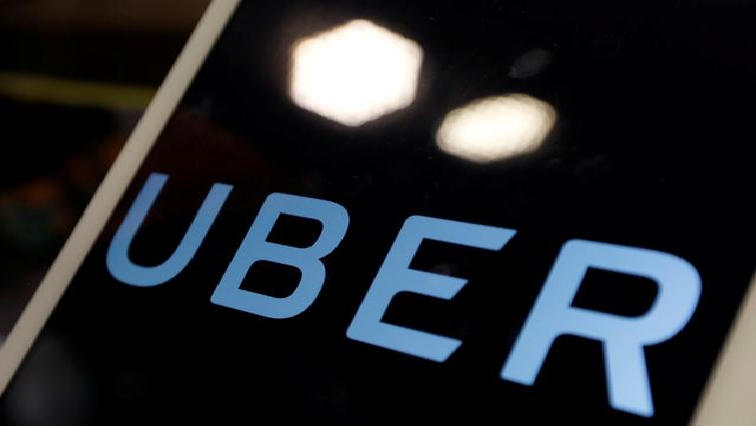 The IPOs suggest that the sharing economy “is ready for prime time,” said Saif Benjaafar, director of the University of Minneota’s Initiative on the Sharing Economy. Benjaafar noted that Uber and Lyft have piled up huge losses while Airbnb has been profitable, they revolve around the same concept. These firms “demonstrated the viability of businesses built around the concept of trust among strangers,” Benjaafar told AFP. That feature – the contingent workforce – is one of the main targets of criticism of the online platforms. These services upend the notion of traditional employment: backers say this leads to more flexible work arrangements and entrepreneurship, while critics argue it destroys the benefits and security available in most conventional jobs. A 2018 study by the UCLA Institute for Research on Labor and Employment found that most ride-hailing drivers worked full-time and supported their families from that income. The study also found 44% had difficulty paying for work or vehicles expenses, and that most wanted an organization to demand improvements in wages and working conditions. While many see advantages in the flexible work, on-demand drivers must find other ways to get needed benefits such as health and unemployment insurance. Sundararajan said one of the main challenges for the sharing economy will be what happens to the “social safety net” which includes benefits such as health insurance, sick leave and retirement. He said the current social contract established in the 20th century revolves around traditional employment. “In 20-years when we look back at this, if we can do a good job of refashioning our social safety net to be tailored for this new economy, that is going to be central to whether we see this transition as good or bad,” Sundararajan said. The post ‘Sharing economy’ goes mainstream as IPOs loom appeared first on SABC News – Breaking news, special reports, world, business, sport coverage of all South African current events. Africa's news leader..